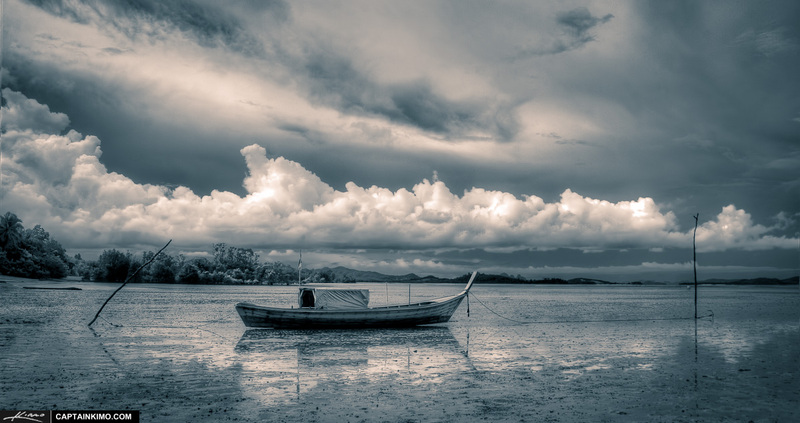 I shot this photo in Phuket, Thailand during low tide. The boat you see is a typical long boat that the Thai folks use for various things. Here’s a three exposure HDR image processed in Photomatix Pro HDR software.